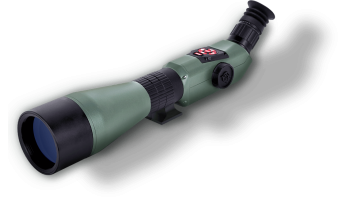 The ATN X-spotter HD combines some of the most advanced optic technology and lenses on the planet, with a state of the art digital interface and cutting edge obsidian core processor. Having a digital spotting scope completely changes the game. Gone are the days of jumping between different magnifications like in a variable zoom, or being forced to stick to a single magnification in a regular scope. The X-spotter features digital smooth zoom, so zooming in and out is exactly like you would on your phone or a high end digital camera. In addition, the X-spotter features day vision, night vision, and video recording. It also features about a half dozen sensors to allow for geo tagging, altitude measuring, direction checking, image stabilization, and weather and pressure measurement, all to help whoever you’re spotting for make his shot every time. It also features Bluetooth and WiFi, as well as internal memory and SD card compatibility, so exporting your videos is even easier than off of your phone. 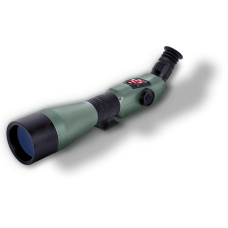 For the ultimate spotting scope, go for the X-spotter. One of the best offers on the UK and European Union market. Smart spotting spotThis Obsidian powered Smart X-Spotter offers capabilities never before seen in a ..